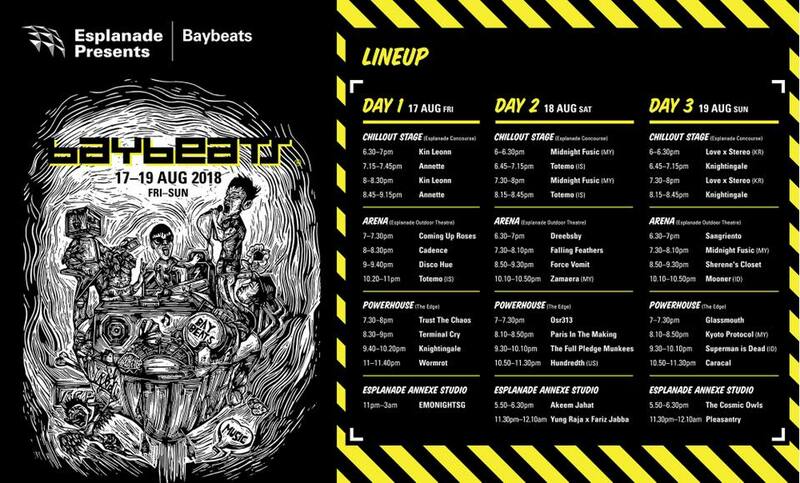 Music lovers rejoice: the 2018 edition of Baybeats is upon us, which means that you can look forward to three days of free performances from some of the best that the local music scene has to offer. As the founding member of acclaimed electronic band Midst, Kin Leonn has been honing his craft as an ambient musician for years, and his solo material is both a culmination and evolution of those efforts. A talented multi-instrumentalist, Kin Leonn is a master of creating haunting soundscapes that transport you to a state of pure calm and introspection. His music might not feature lyrics, but the tracks speak volumes on their own. He’ll be playing two half-hour sets at the Chillout Stage / Esplanade Concourse on Friday at 6:30pm and 8:00pm, and is the perfect act to ease you into the Baybeats mood. If Annette Lee looks somewhat familiar to you, it’s probably because you recognise her as “Sue Ann” from SGAG (yeah, we’re just as surprised as you). Don’t let the goofiness of her day job fool you, though — Lee shows a completely different side of herself when she picks up a mic, exuding a confidence we didn’t know she had as she sings her self-written songs “about the human condition”. Her repertoire ranges from upbeat dance anthems to dark, soulful ballads, and like Kin Leonn she’ll be playing two sets at The Chillout Stage / Esplanade Concourse on Friday at 7:15pm and 8:45pm. If at first you don’t succeed, try again — after being eliminated in the final round of last year’s Baybeats Budding Bands initiative, the alternative rock quintet went on to earn a spot in NOISE Singapore’s music mentorship programme, and will finally be making their Baybeats debut this year. Inspired by everything from One OK Rock to Avenged Sevenfold, the band’s energetic sound masterfully straddles the line between mainstream and underground. Frontman Li En’s voice in particular is a work of art, chock full of emotion and reminiscent of Linkin Park’s Chester Bennington. Considering the lengths they had to go through to make it here, you can bet that they’ll tear the stage down on Friday at the Powerhouse / Waterfront Carpark at 7:30pm. Falling Feathers is no stranger to the big stage — having opened for big international acts like Mayday Parade and Before You Exit in recent years, it’s obvious that his Owl City-esque vocals have struck a chord with Singaporeans. With most of his songs revolving around the universal topic of romance, his tunes are unapologetically pop-inspired — whether its blaring guitar chords or a smooth electronic beat, you’re guaranteed to be tapping your feet throughout. If you want to feel like a secondary school kid again, you can catch him on Saturday at the Arena / Esplanade Outdoor Theatre at 7:30pm. 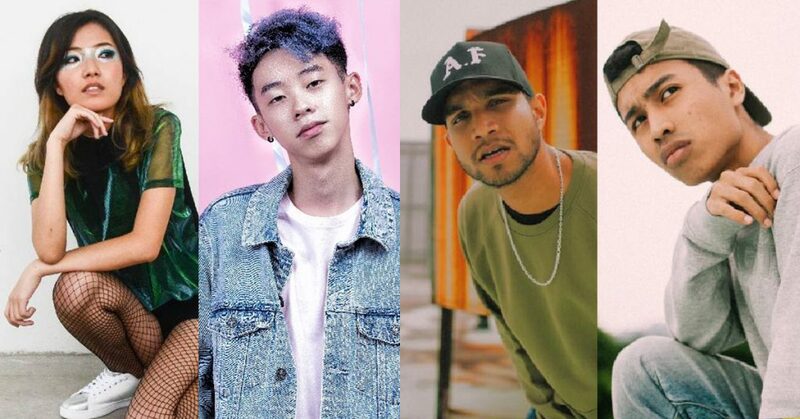 This year’s Baybeats aims to shine a bigger spotlight on Singapore’s hip-hop and rap scene, and the inclusion of Yung Raja and Fariz Jabba in its lineup is definitely a step in the right direction. Both artists — who also happen to be best friends — have amassed massive followings thanks to a strong social media game, and their signature style of rapping in both English and their mother tongues have helped to further set them apart from the rest. It’s always a banger when these two come together, so it’s rather fitting that they’ll be closing out Saturday with a late-night performance at the Esplanade Annexe Studio at 11:30pm.